A deeply nourishing and hydrating eye cream that supports the skin’s natural moisture barrier, while minimising the appearance of fine lines. Ginkgo Biloba and Olive Butter help smooth the skin while antioxidants Vitamin E, Jojoba and Evening Primrose hydrate and protect. Start from the inner corner of the eye and work outwards following the contour of the eye, gently tapping cream into skin with your fingertips until fully absorbed. Only been using this product for 2 weeks. Goes on smoothly and sinks in quickly and seems to really hydrate the delicate eye area. I will continue using this product and it is the best eye cream I have ever used. The product is really good. The feeling is smooth and nice. I use it morning and evening and i believe this will become one of my favorite products! 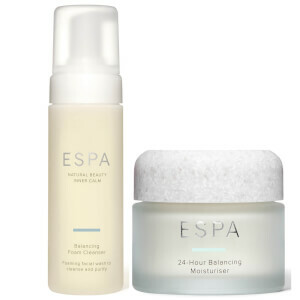 Whilst looking for a good quenching eye moisturiser, I fortunately came across ESPA at a hotel 16 years ago and have used this product ever since. It is light yet moisturising. Non sticky or heavy which creates even more problems around the eye area, yet does the job for me perfectly with an aging skin. My go to eye reviver when needed, love this product and highly recommend it. 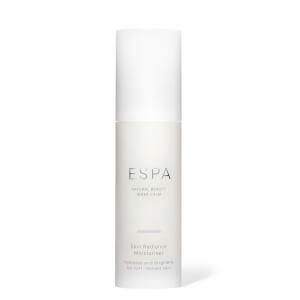 This replenishing eye moisturiser is just the thing for tired eyes and crowsfeet! My eye area is soft, supple and my wrinkles are barely there! Great product that smoothes away lines around the eye area. Very soothing eye cream which is gentle and doesn’t irritate my sensitive eyes. Absolutely love this cream! It feels like smooth velvet on my skin and isn’t heavy, I can barely feel I’m wearing it! It has become an essential piece of my daily skincare routine and my eyes genuinely look so much better then they did before I used it. It’s a must!